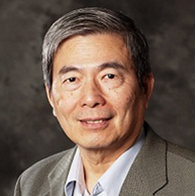 Dr. Shung’s research interest is in ultrasonic transducers, high frequency ultrasonic imaging and ultrasound microbeams. His laboratory has developed ultrahigh frequency (UHF) single element transducers (>100 MHz), several versions of high frequency (>30 MHz) linear arrays and an imaging platform to test these arrays. He is also interested in UHF ultrasound applications in cellular bioengineering, e.g. cell trapping, stimulation and sorting. R. Chen, N. Cabrera, K. H. Lam, H. Hsu, F. Zheng, Q. Zhou, and K. K. Shung, PMN-PT Single Crystal High Frequency Kerfless Phased Array. IEEE Transactions on Ultrasonics, Ferroelectrics and Frequency Control 61: 1033-1041, 2014. Y. Li and K.K. Shung. A feasibility study of in vivoapplications of single beam acoustic tweezers. Applied Physics Letters 105, 173701: 1-5, 2014. (PMC4224677). J. Y. Hwang, B. J. Kang, C. Lee, H. H. Kim, J. Park, Q. Zhou, and K. K. Shung. Acoustic radiation force impulse microscopy via photoacoustic detection for probing mechanical properties of single cells. Biomedical Optical Express 6: 11-22, 2015.